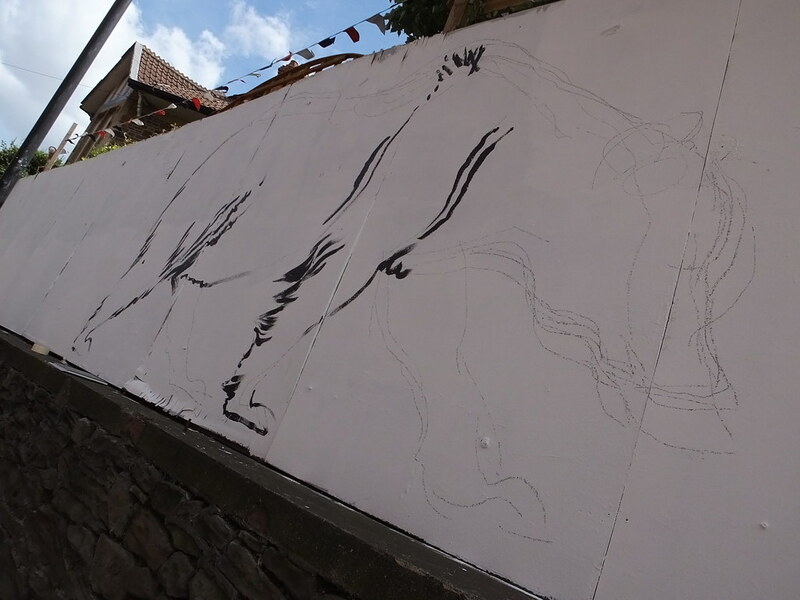 A new wall slightly off the beaten track of the photographed routes of North Street or the centre of Bedminster is a delight waiting to be discovered for all those that ventured to this part of the festival. 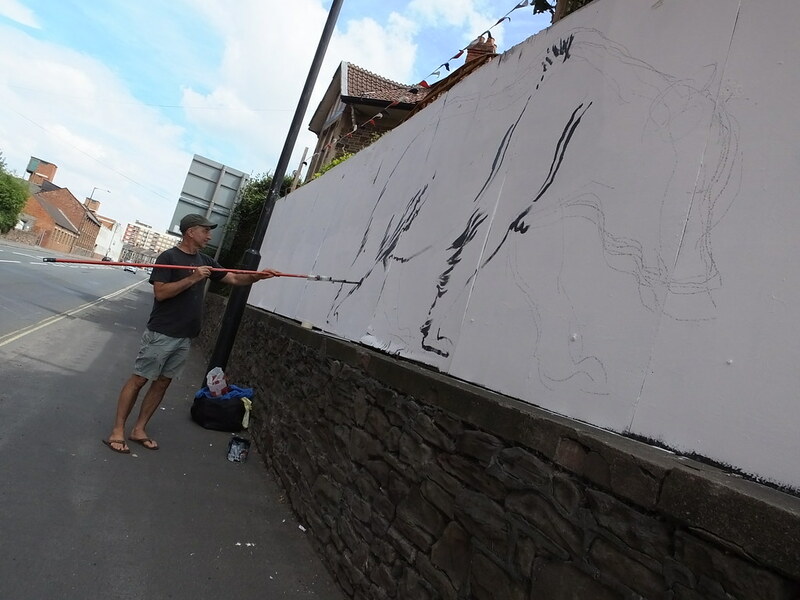 Artist ATM was given quite a long thin wall to paint as part of the Upfest street art and graffiti festival that hit Bristol on the last week of July. 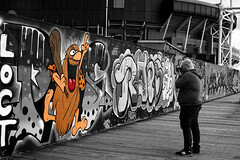 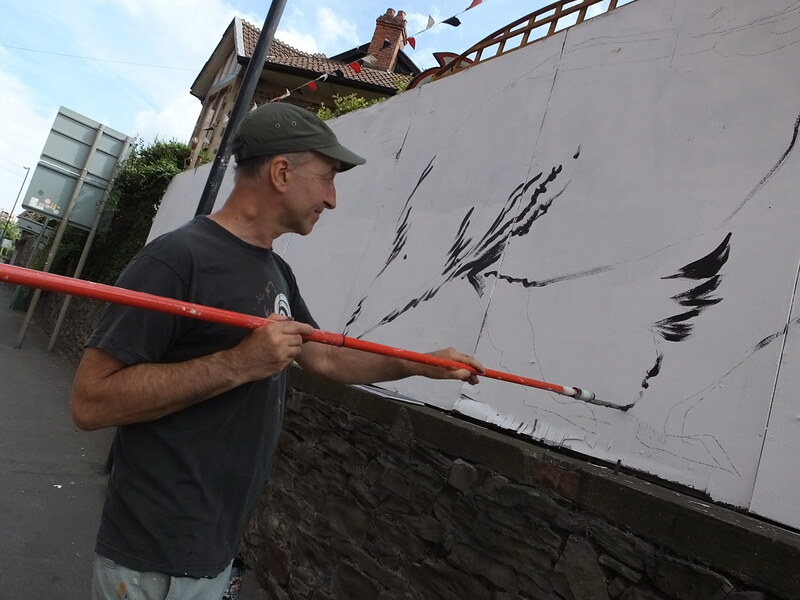 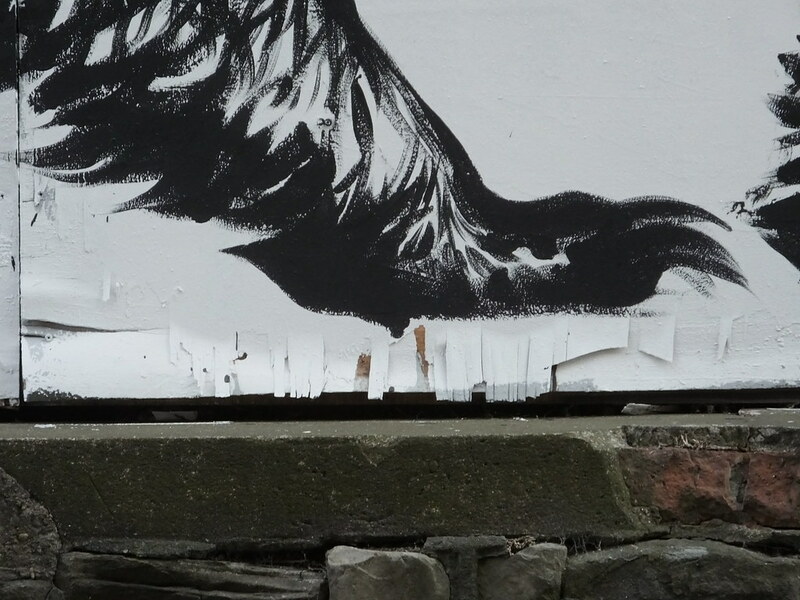 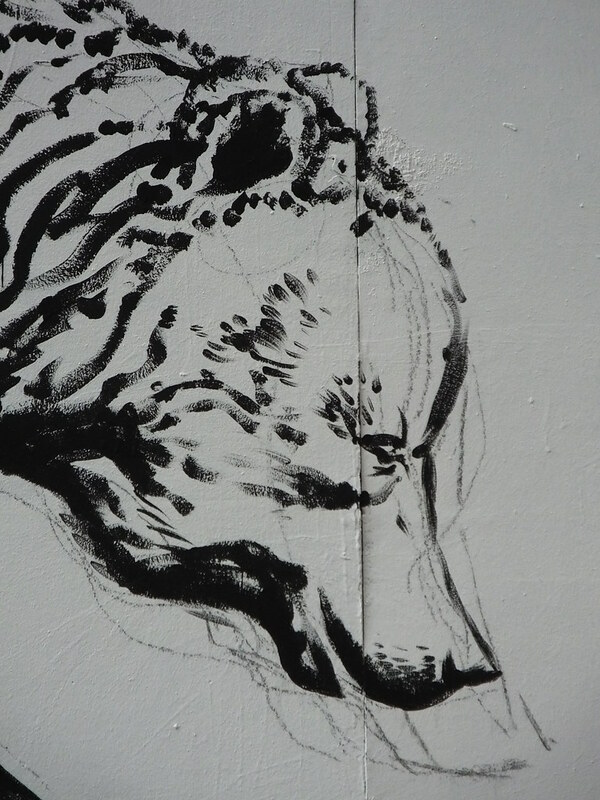 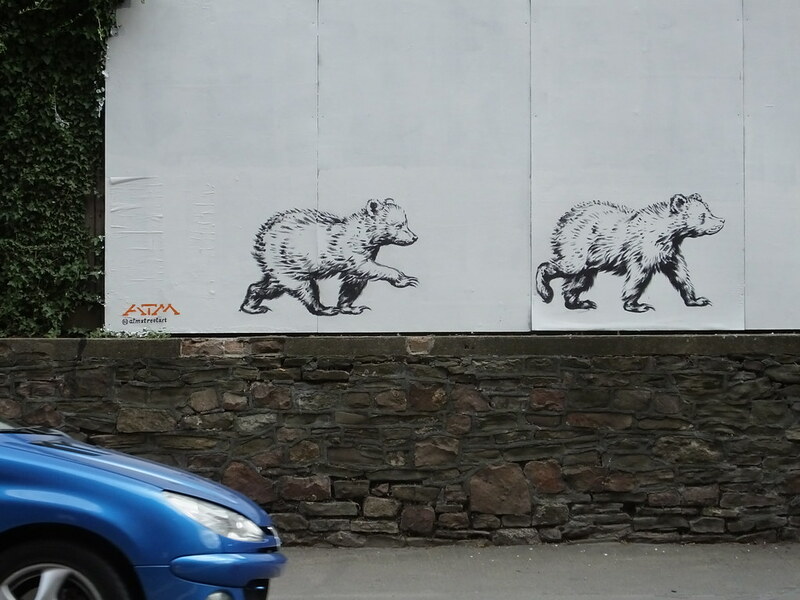 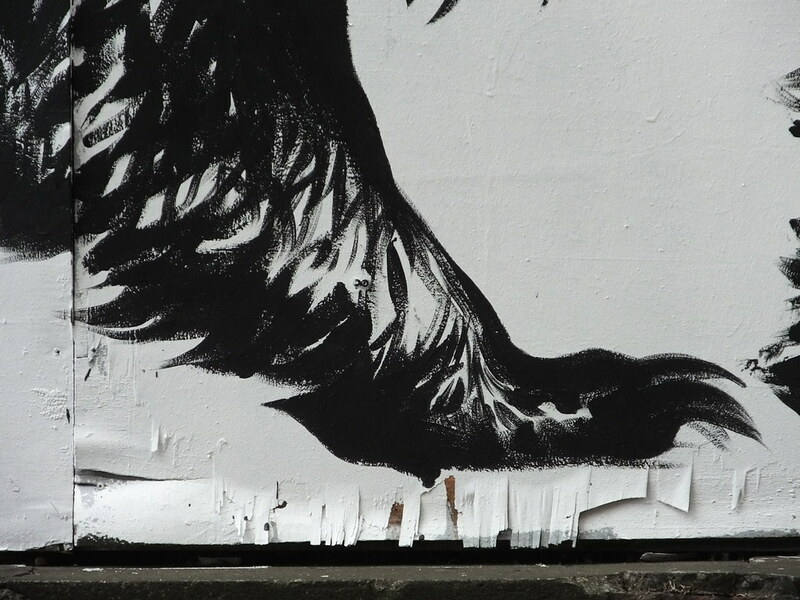 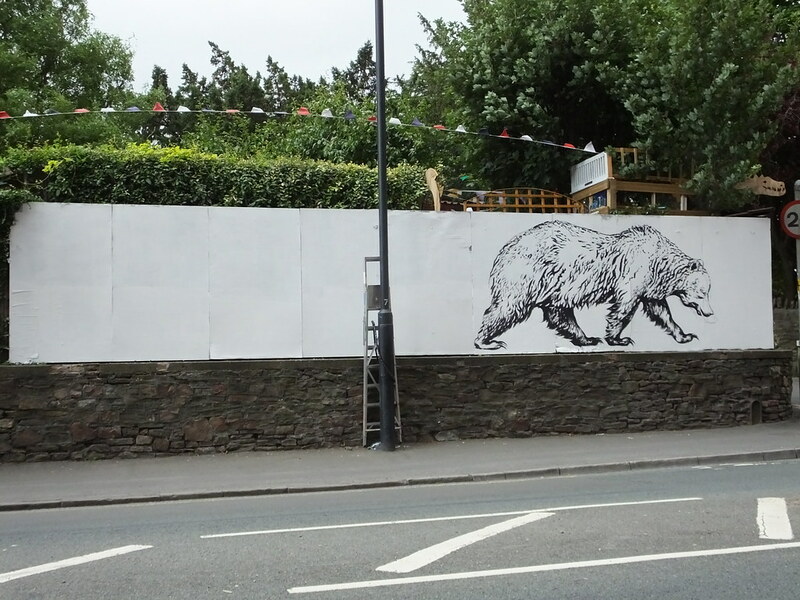 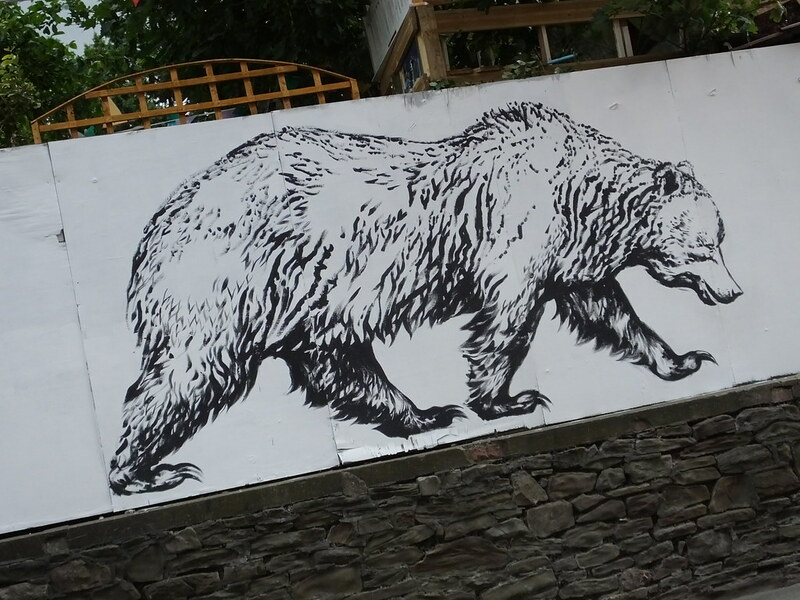 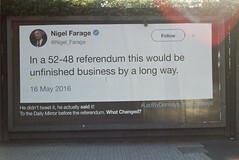 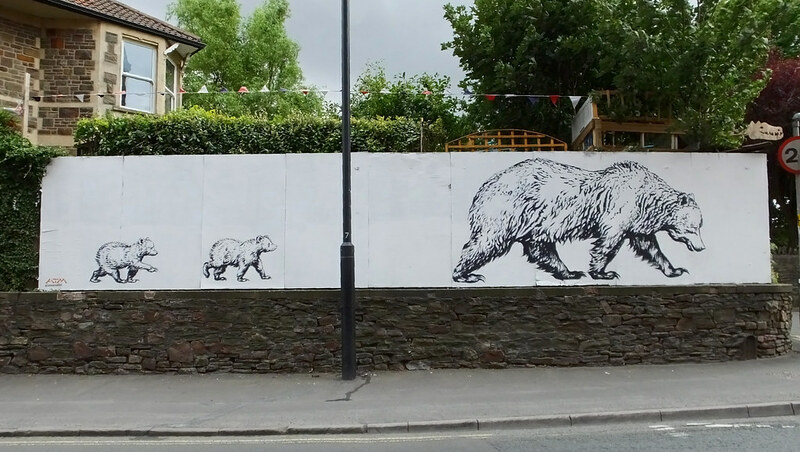 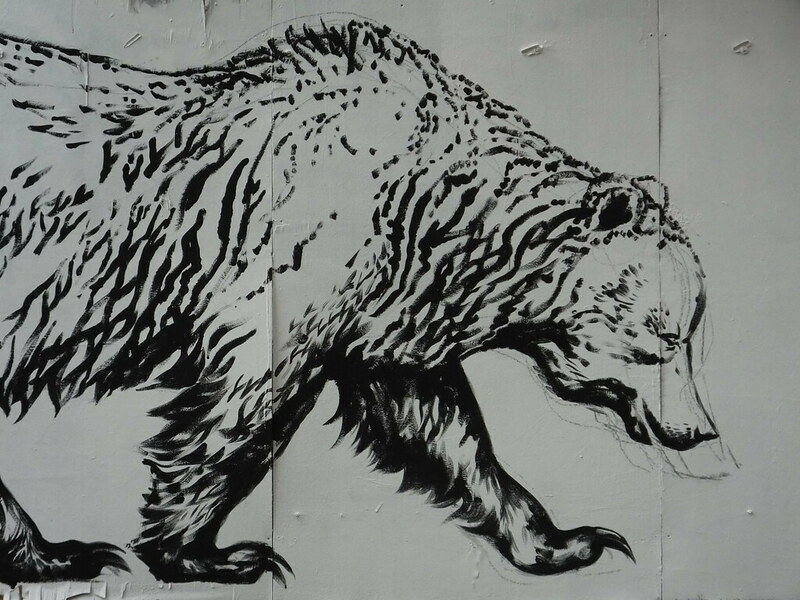 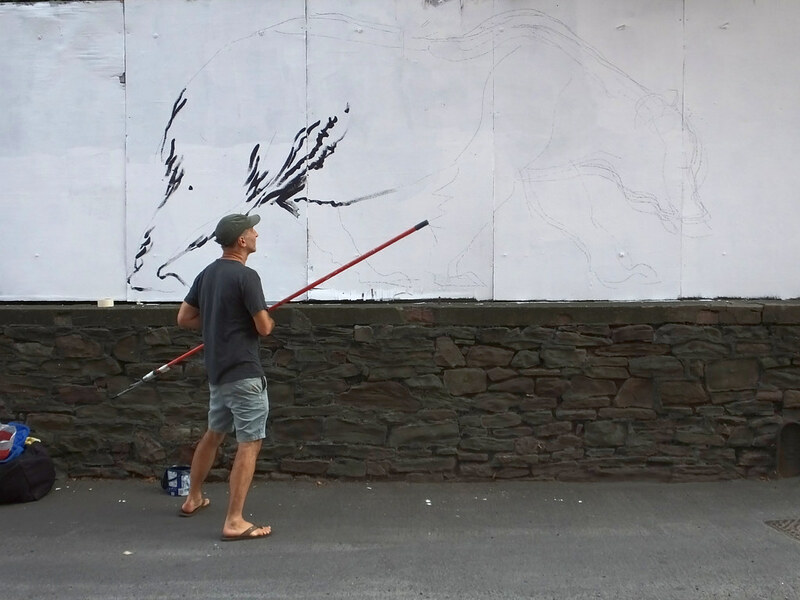 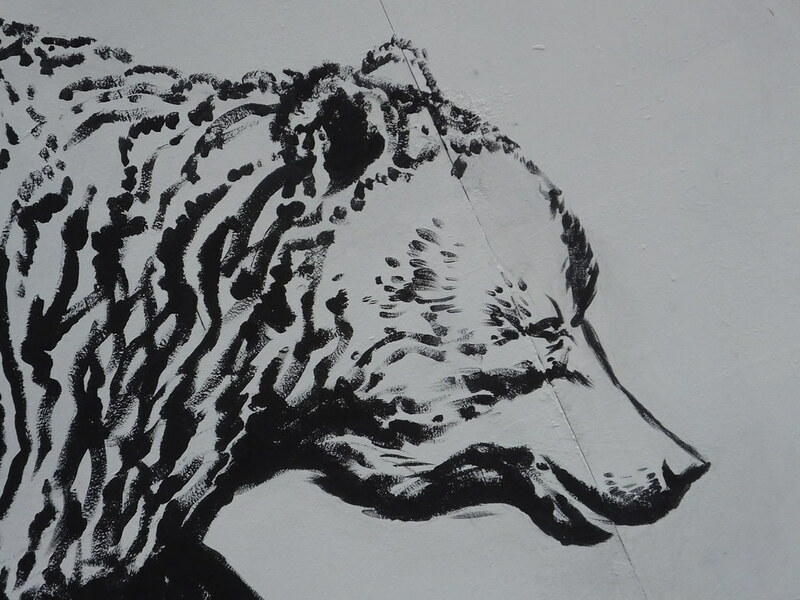 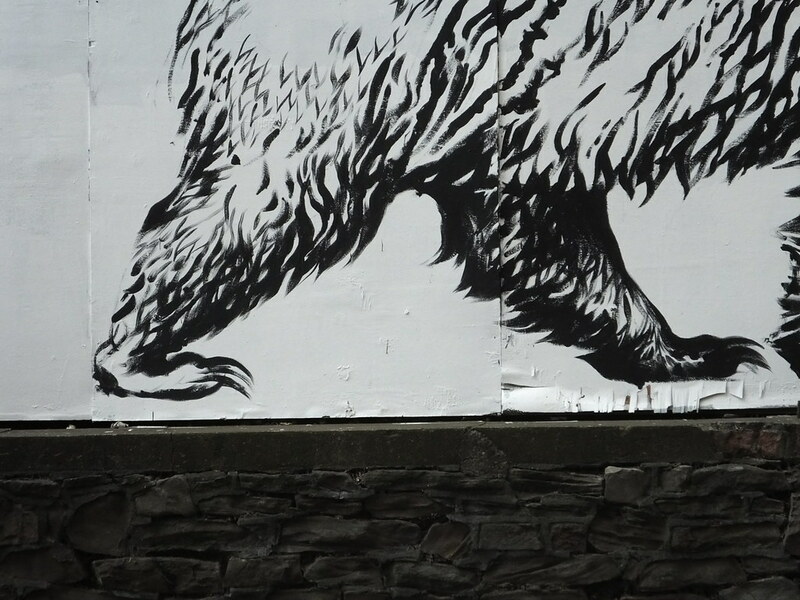 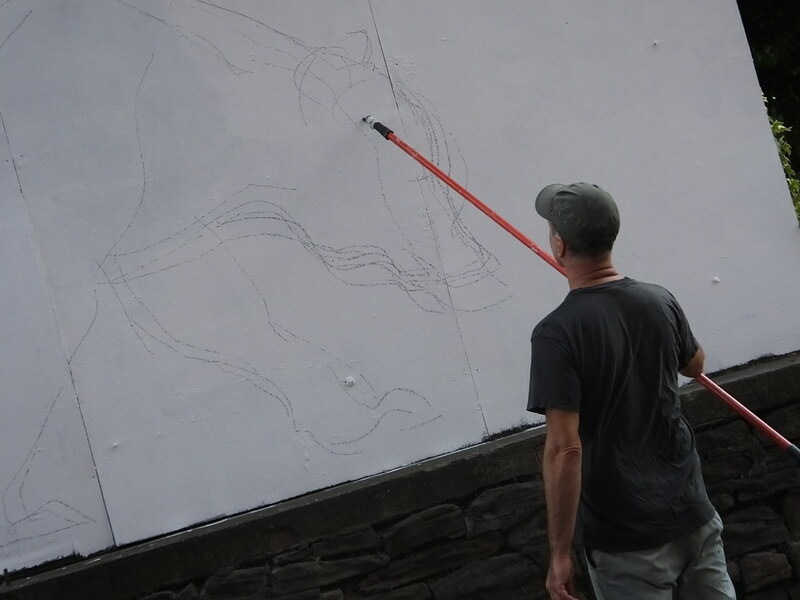 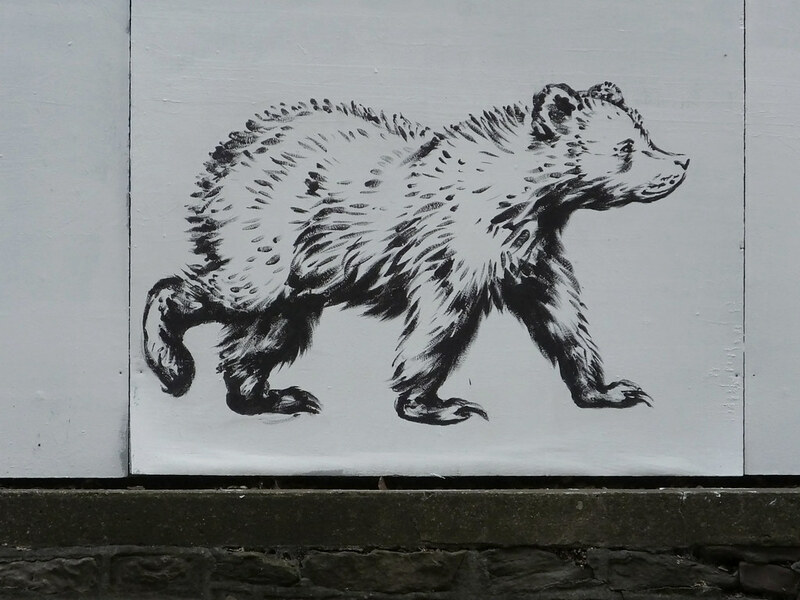 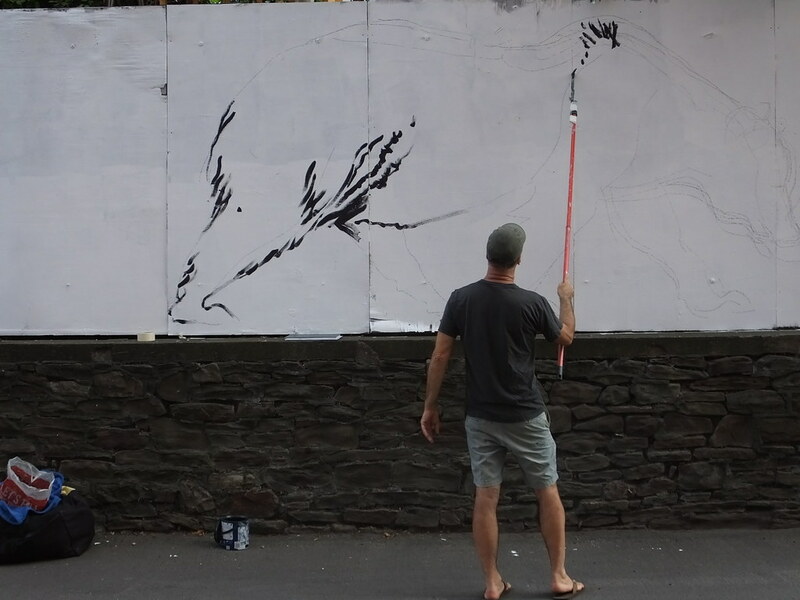 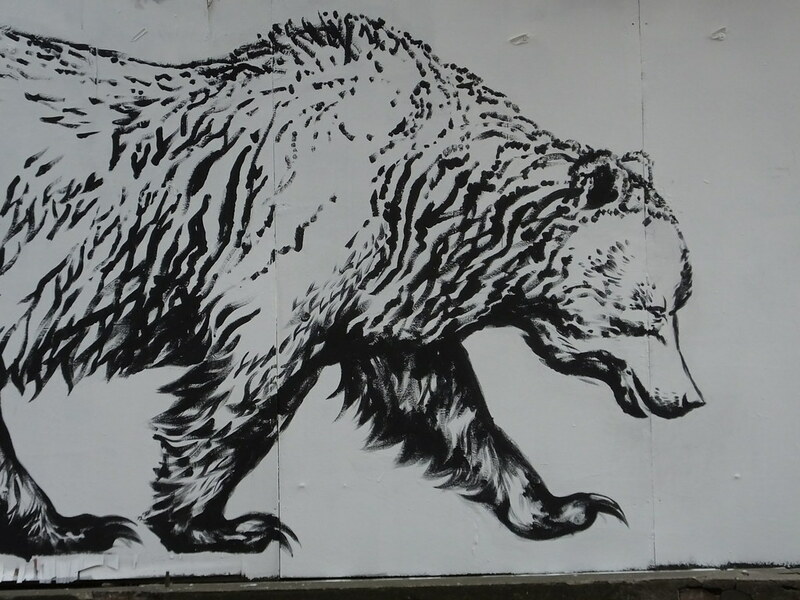 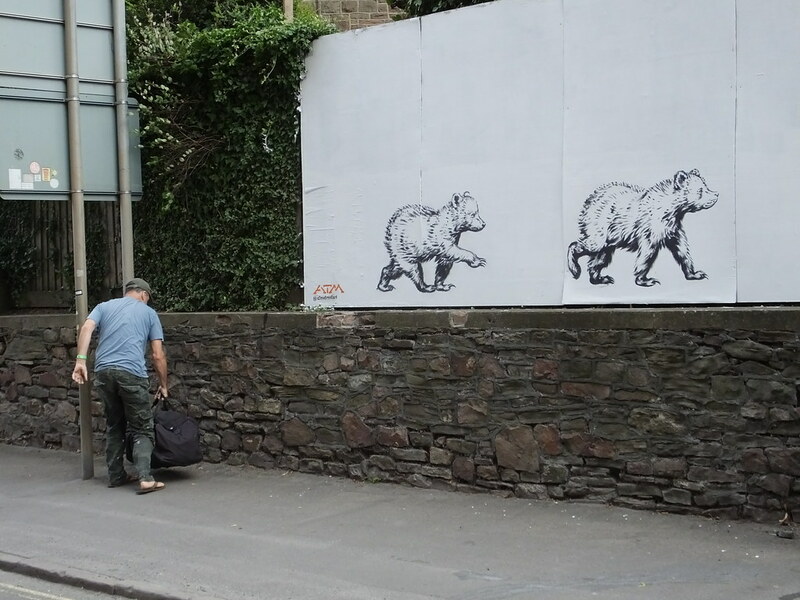 Known for painting endangered species in urban locations, here he began putting the outlines to a bear knowing that the local Bristol Zoo wasn’t too far from here. 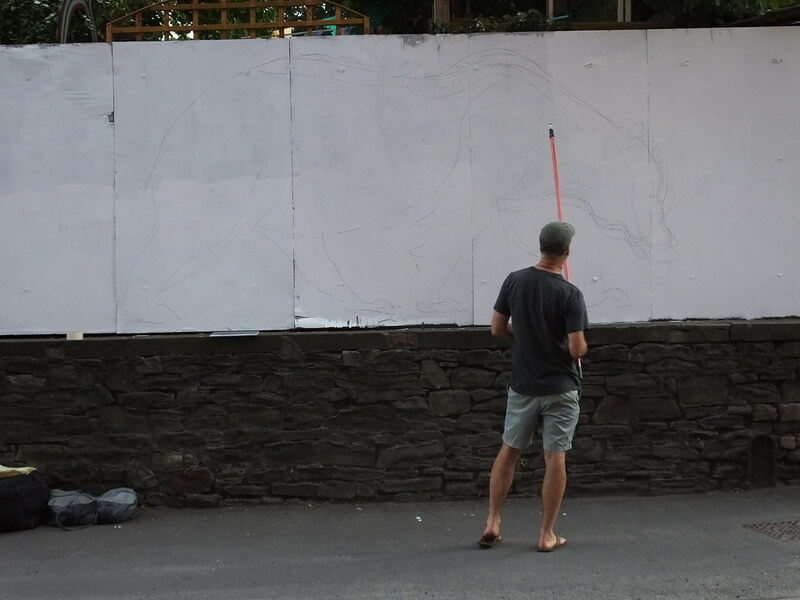 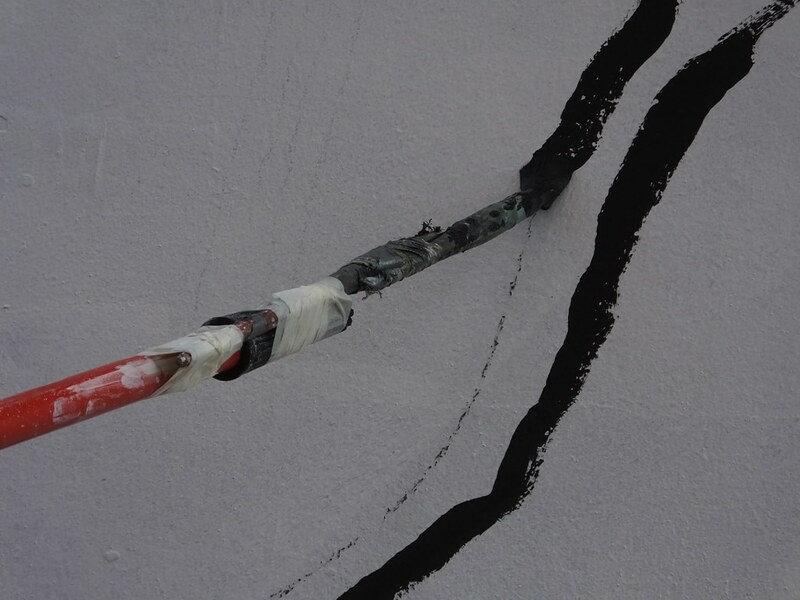 Planning ahead for the predicted inclement weather – the artist began early on Friday but was without any steps or ladder so improvised with his brush carefully attached to the end of a pole. 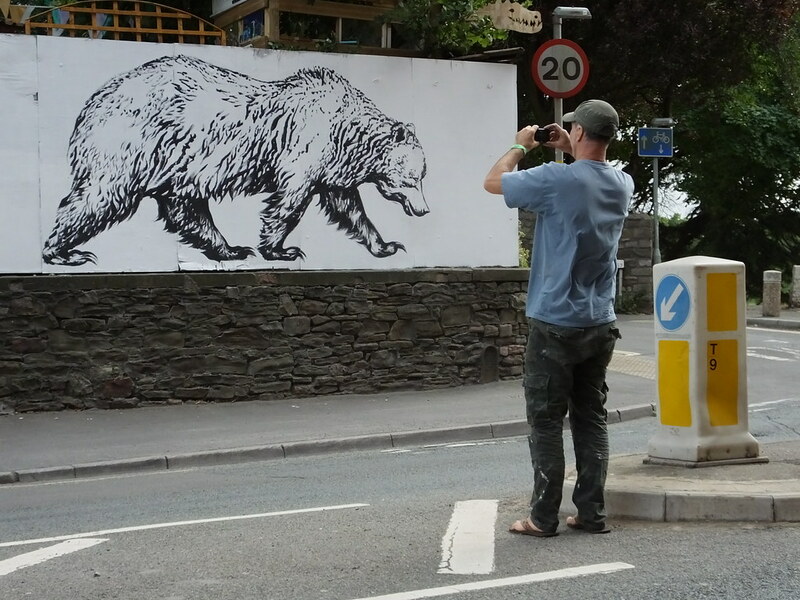 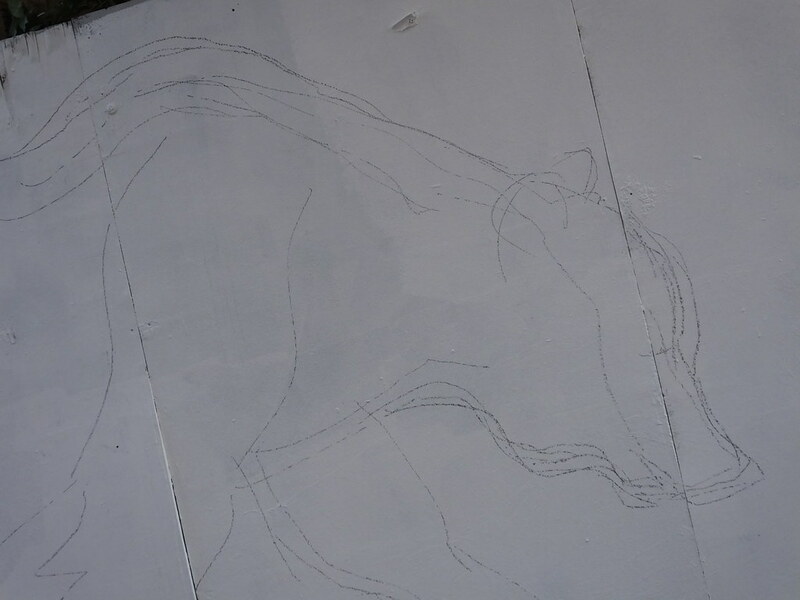 Following his sketched outlines he began bringing the giant bear to life. 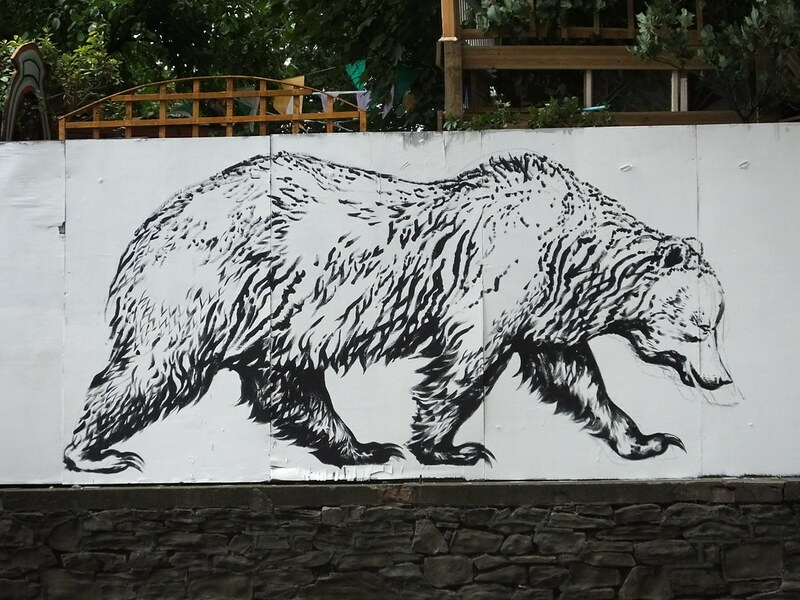 And returning later in the day – the bear appeared finished. 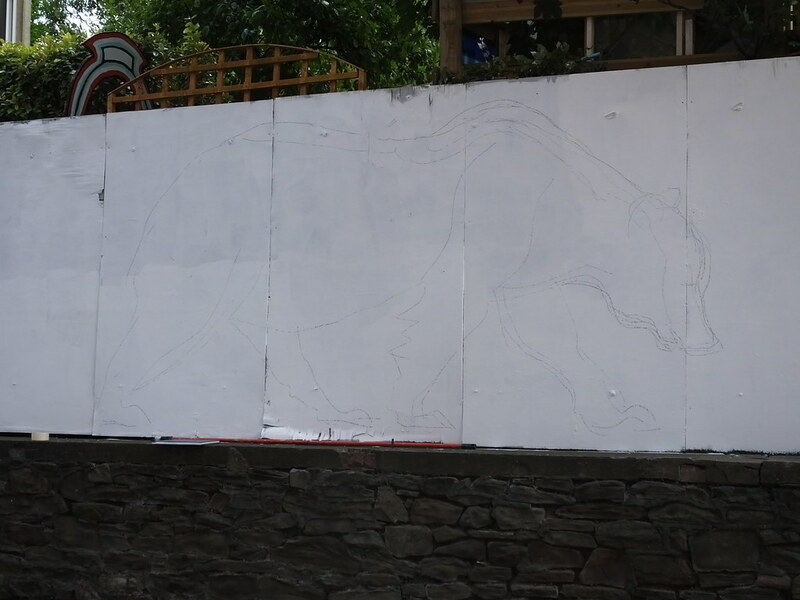 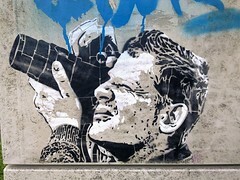 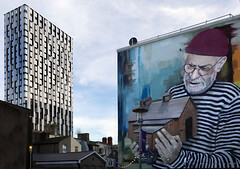 The long 25 foot wall still had an empty space to the left hand side where it seems the artist was battling the weather and the huge amount of traffic that passed on by to complete this one! 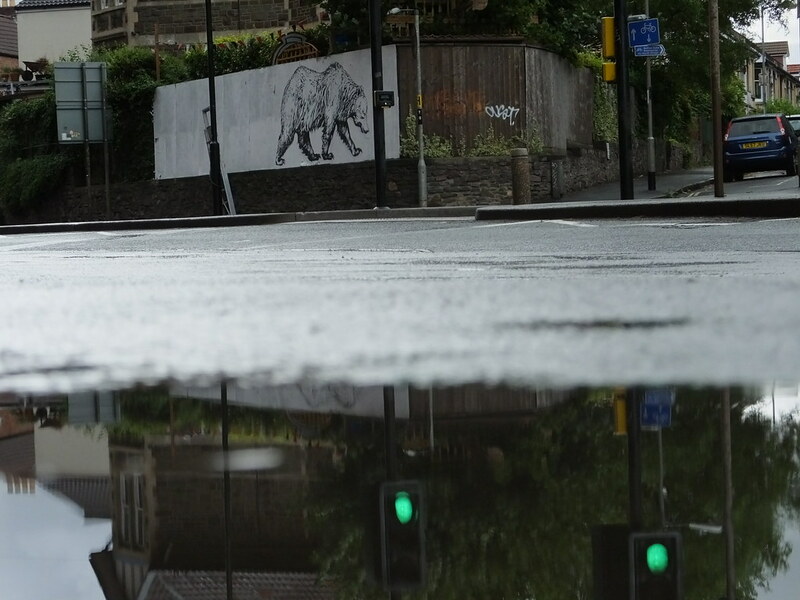 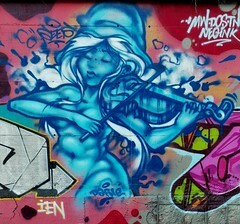 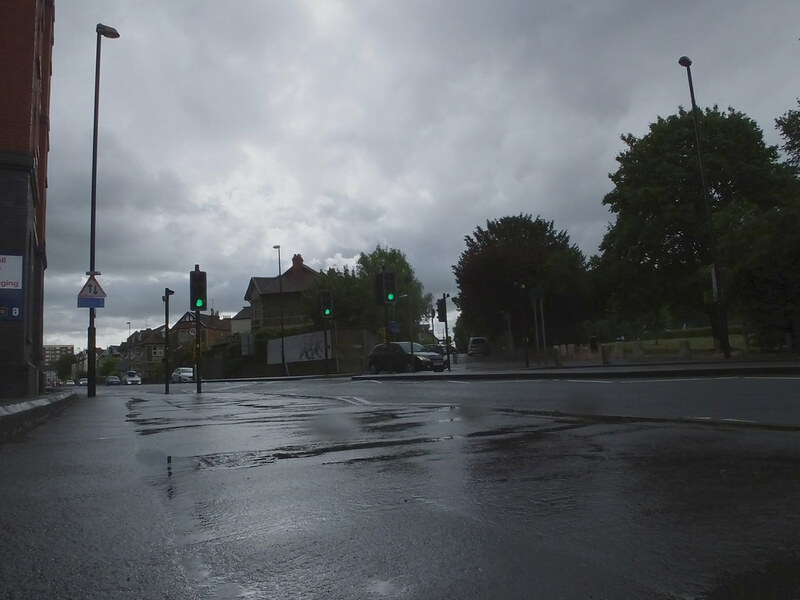 Huge downpours kicked in with only small painting windows in between the showers but the artists persisted and did complete his wall near the Jessop Underpass at the junction with Frayne Road in Southville, Bristol. 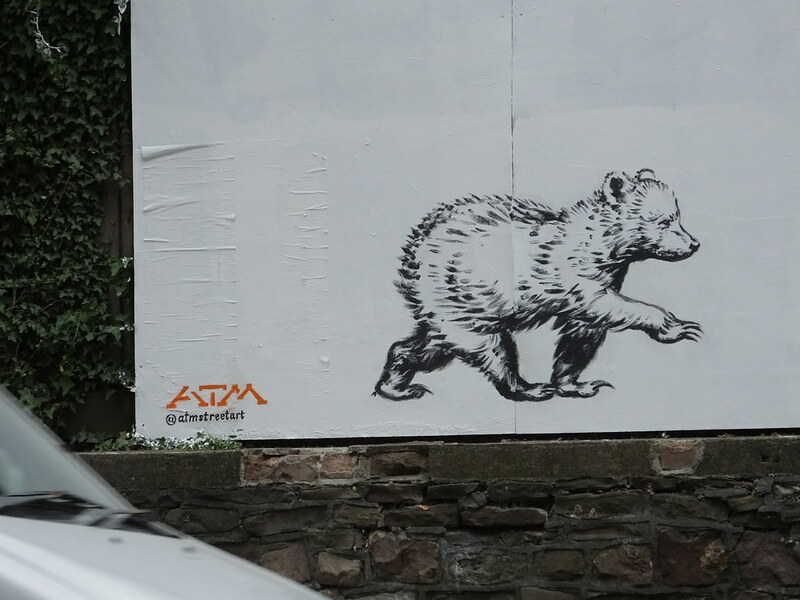 ATM didn’t just paint a bear but also two of it’s cubs closely following behind – illustrating his theme of endangered species and drawing attention to their plight and inspiring people to help them. 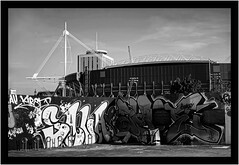 And so after a hard weekend’s work was complete it was time for that final photo before even more rain kicked in!